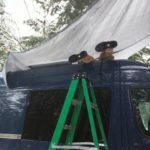 I know a lot of folks visit this site in order to get ideas for their sprinter camper van build, so I thought it might be handy to have a jumping off page, dedicated to our DIY sprinter build to serve as a kind of table of contents for our sprinter related posts. Of course you could just search by post category, but where’s the fun in that? 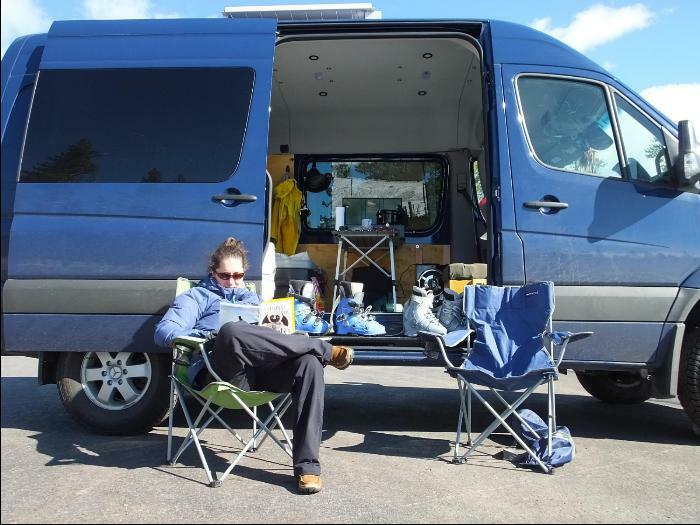 Building up our 4×4 Sprinter Van, DAPHNE, was (and lets face it, still is) a very fun project and I’ve enjoyed sharing the process with lots of folks. 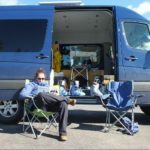 We have also very much enjoyed using our Sprinter Van to take us on some great adventures – DAPHNE (Dynamic Adventure Pursuit House Near Everything) really is everything we ever wanted in a camper / adventure van! 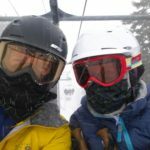 The blog authors hard at play. Unlike some folks that are able to quit their jobs to cruise around the country or are able to work short hours remotely, we’re just regular people with regular jobs, working hard to play hard. 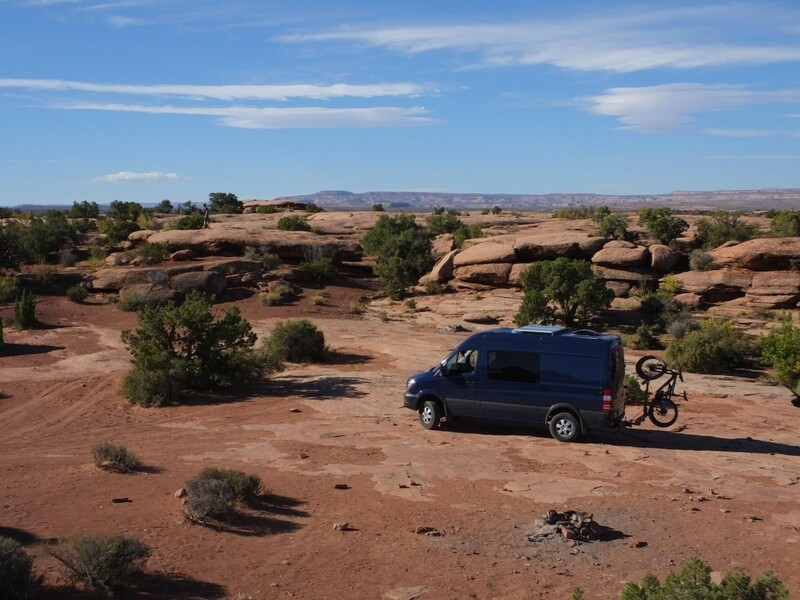 This is also why our van build focuses so much on utility and efficiency rather than aesthetics – we’d rather be out mountain biking or skiing than working on the van (though, I have to admit – I do enjoy adding useful features to the van – which is why the project will never end). Diving into the van project was a pretty daunting task. Like most we took to the internet quite a bit, even before we got our van (we had a long wait from order to receipt) and devoured all the information we could find. I definitely owe a huge dept of gratitude to all the contributors over at sprinter-source.com, without which we would not have had the confidence to drill those first holes or do anything else, for that matter. We cataloged all of our internet research on shared note platform (we used Microsoft OneNote, but Evernote, Google Keep, etc are all fantastic options). That kept all the research organized. And we had one big master list of all the evolving things we wanted to do and what we needed to do them – it includes most all of the work we have done to date and a few ideas we have for the future. To do this right and somewhat in sequence, we quickly realized we would have to add a few more things to the to-do list – starting with removing the factory headliner, our first big chore and still probably one of the most difficult things we had to do. 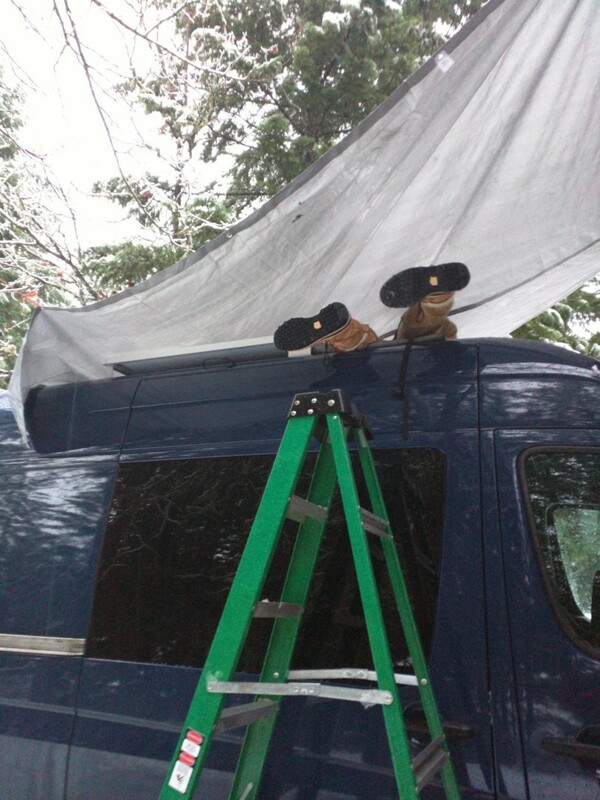 While we had the headliner and wall panels out of the van it made sense to put in the necessary electrical work – including lights, 12V (cigarette light type), and USB outlets. And before we could permanently affix our bed platform to the sides of the van we figured we should put in some kind of wall panels (our crew van only came with a couple factory wall panels). This was also nice for covering over the insulation and electrical wiring. With some pretty focused and diligent work (mostly ever evening and weekend between Halloween and Thanksgiving) we achieved our goal of being camp ready for the thanksgiving holiday. 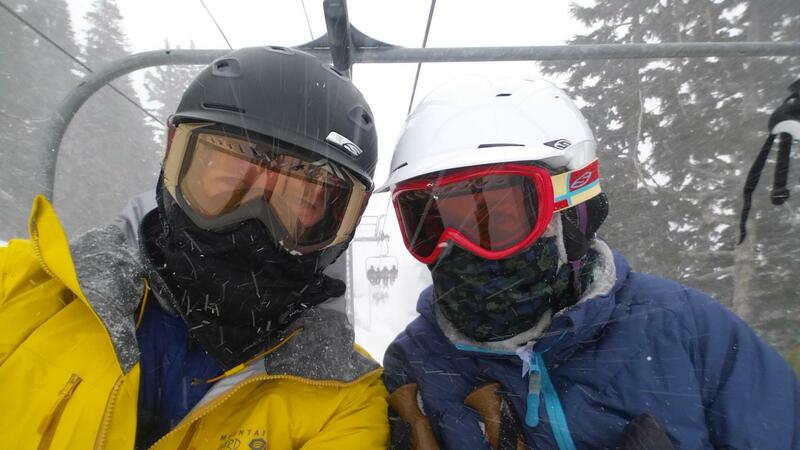 It was a good thing too, because temperature at Mt Bachelor were in the single digits (Fahrenheit) over the weekend and we were super thankful for our heater and insulation. One thing that became clear on that first camping trip was that we needed to have a way to passively charge our “house” power system and one battery was not enough. So we installed solar panels one snowy weekend in early December. This was one of my favorite projects on the van and I am so excited every time I can “charge my phone for free”. After that we just enjoyed the van for the winter. We tested various other configurations out and did more research, but mostly we just skied a lot and left any further van refinements to the following summer. Over the course of that break-in period we learned a lot about the things we wanted/needed and also garnered some lessons learned about our previous building techniques. Like our preference for Plusnuts over Rivnuts. So when the next summer rolled around we got to work on some new projects – like adding various accessories to our camper van build. We also added some flare – like laminate wood flooring (so much for being all utilitarian!). And that’s basically where we are at today. That’s the narrated version of our van build, so far. 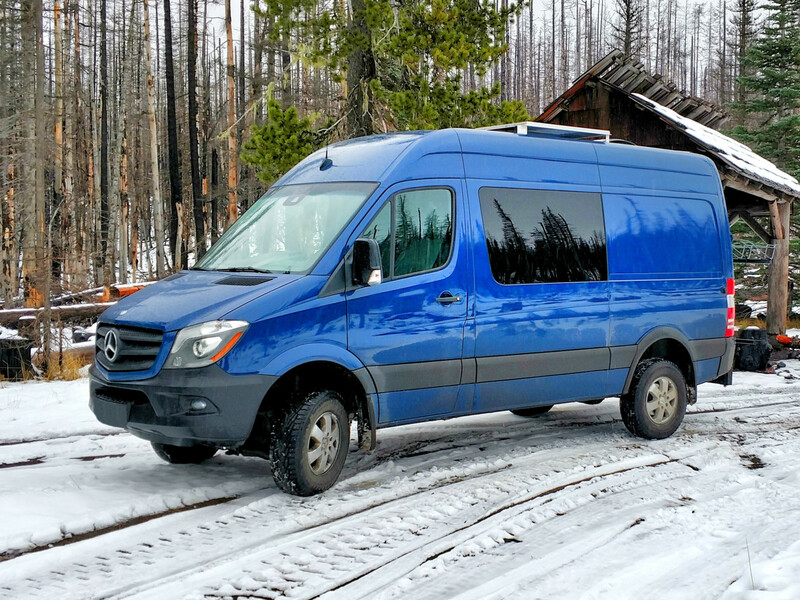 If you are still looking for an index to our van build related posts and this format just doesn’t work for you – check out the Sprinter Category Listing. any idea what kind of steel the plus nuts you used are? Or more importantly, what their yield/tensile strengths are? I’m planing to use them to anchor cabinetry in my van. I am not sure what grade of steel the plus nuts are constructed from. That is likely a question you could ask the vendor. Given that they are thicker than the sheet metal on the van my (completely uneducated) guess is that the van will yield before the plus nuts do. But that is something you could calculate out, if you were so inclined. I too have abandoned rivnuts for plusnuts. One thing I have found helpful in situations where fastener rotation would be problematic is to add a 3/8″ internal tooth lock washer to the underside of the plusnut head. I have also found that running a 1/4-20 forming tap into the newly installed plusnut improves and aligns the thread which helps fight galling of SS fasteners. This is really helpful info. Thank you for sharing! I just spent this morning reading all the sprinter posts, fantastically thorough! Two part question: 1.Do you have a rough idea of what the buildout cost? 2. I would be starting from basically scratch from a tools standpoint, other than wrenches, pliers, and screwdrivers, what do you think the tools you needed would run, minus welding equipment? I’ll happily pay for welding. Thanks! Hi Derek – Answering your question is difficult. I didn’t keep the greatest notes on what costs were once I got into the van build (I started out very organized – then got less so as things went on). Additionally, build costs are highly variable depending on the quality of build you want to achieve. As I have said in many of my posts, our build is highly utilitarian. I have accepted the fact that our van interior isn’t the prettiest. But it is highly functional. You can go with nicer wood grades for interior paneling, spend more time and money on detailing and finishes and get a much more elegant build. While we were waiting for our van to be delivered, I started roughly pricing our base build it and came to a budget of $4,000. That included insulation, walls, heat, power/solar, general electrical, etc. but the basics. And not very fancy. So perhaps that’s a number to start with. I am sure I am missing something important, but that’s a start. Hope this helps. 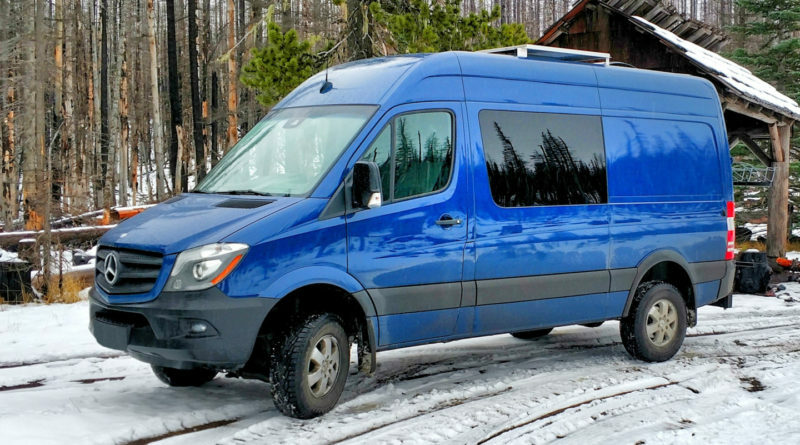 I came across your website because my family is considering purchasing a sprinter for family trips. Let me start by saying your website is AMAZING and extremely informative. I’m interested in developing such a website to promote travel for African Americans families. I am interested in how you gained your sponsors and how much profit is made from sponsors. Any guidance and information is appreciated. Thanks of reading. Developing this site is really just a labor of love and the monetary kickback pretty much just pays to keep the servers running. To be honest, most of the write-ups I do are really to remind myself how I did things, if I ever need to go back and make repairs. Ads on this site are provided through Amazon’s affiliate program, which you can read about here.